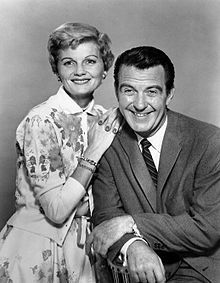 My being a mom idol is June Cleaver. That woman could rock the pearls like no other. In my perfect fantasies about being a mom, I’m dressed in a pair of rockin’ jeans and an awesome top. I wear earrings and a necklace. My hair is perfect, and I actually do my makeup. Then, of course, there’s the reality. The reality is that my children can make it difficult to dress like a hot mom. Eudora is awesome at baby barf. More specifically, she’s awesome at showering my pants with her baby barf. There are times that she pukes on my pants to the point that I just take them off and sit back down on the couch with her to finish burping, playing, or whatever else we’re doing. I change pants two to three times a day on average, so I’m not always going to rush downstairs to change pants and the first sign of barf. Then, of course, there’s Norton. Norton is at that stage of toddler development where he pretty much dresses and undresses himself. That’s awesome, even if it can be a little time consuming. What’s not awesome is when he decides that it’s fun to put his arms through my tank top. It’s even less awesome when he tries to run off while still hooked into my shirt. This morning, I found that it was easier to just give up the shirt until he was done running around with it. It was definitely a better option than allowing my toddler to strangle me with my shirt… and it just wasn’t worth the fight. By just giving up the shirt, it made my tank top less fascinating to play with. I got my shirt back in two minutes and there was no yelling or getting frustrated. Besides, it’s not like my two year old seeing me in a bra is going to be some kind of traumatizing event, particularly considering he likes to play peekaboo with me while I’m trying to take a shower. I guess the simple fact of the matter is that there are times when being a mom is a messy business. If shucking a shirt keeps me better able to focus on my kids (particularly when they are being… well, kids), I suppose that’s only a good thing. Even if it means that I’ll never be June Cleaver. What kind of impact has being a mom had on your wardrobe? *snicker* Norton has done the same to his dad, except it’s usually more of a headbutt. No liquids involved.